1929: Four-year-old Etty and eight-year-old Dorothy are abandoned at Blakely Hall orphanage by their mother, never to see her again. 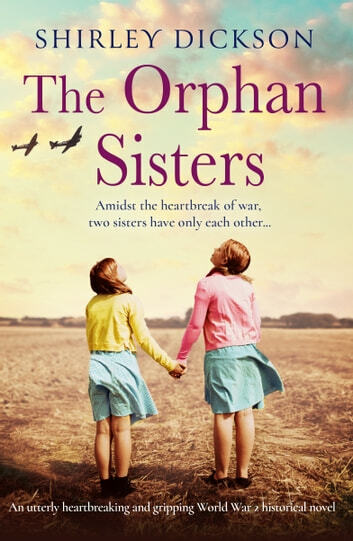 With no other family to speak of, the sisters worship their beloved mam – and they are confused and heartbroken to be deserted by her when they need her the most. Historical fiction and its best! 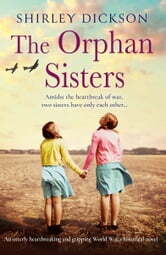 This is a beautifully written heartbreaking story of two sisters, Dorothy 8 and Esther "Etty" 4, who were left by their mother at an orphanage, Blakely Hall, in November 1929. They did not know why they were being left there but they kept hoping their mother would come back; however, she never did. Dorothy was the first to leave and go to work for a local family when she reached a certain age. When Etty was old enough to leave, she was allowed to go and live with Dorothy who had a job and a flat by that time. Dorothy meets, falls in love and marries Lawrence "Laurie" Calvert. He is sent off to war in the Navy as a signalman in a submarine. Etty meets Trevor Milne and begins dating him but then she meets Billy Buckley who is dating her friend May and falls in love with him. Lots of unforgettable, heartbreaking things happen in this story that will definitely tug at your heartstrings. This story is about family, heartbreaking events and forgiveness. I absolutely loved this superb page turner. Thank you NetGalley and Bookouture for the ARC of this outstanding book in exchange for an honest review. Not my cup of tea.I thought this book was depressing. But thats just my opinion. It was ok. A bit weak and drawn out at times. But a pleasant read. I enjoyed the story immensely. However, I found it ended abruptly, I was waiting for more. This I have found very frustrating in other books. We get deep into a story plot and bang it ends! I could not put this book down. Kept me keen the whole way through. Totally will recommend to my keen reader friends.